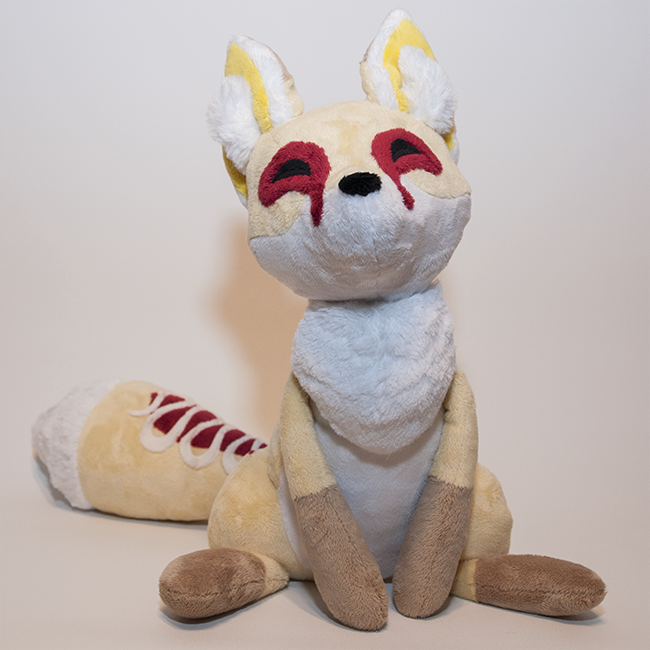 A Lemon Chiffox plushie, an adorably delicious hybrid of the lemon chiffon dessert and a fox! Meant to look slightly realistic but still very cute and cuddly. 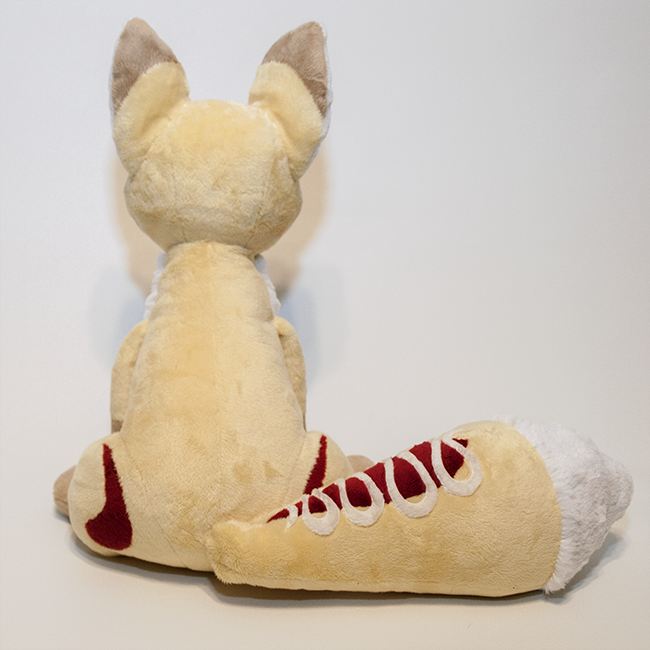 His body is a light lemon pie color, with fluffy white cream, and raspberry drizzle accents. 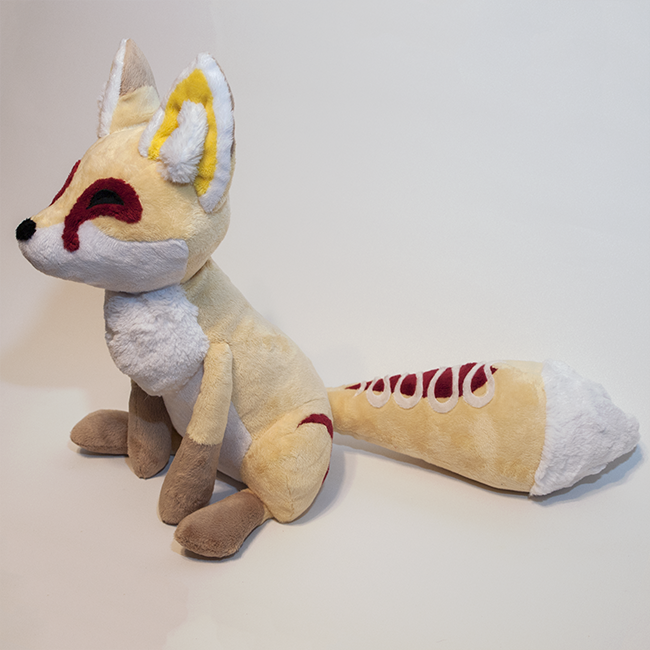 Unlike most of my plushies which are fanart, this plushie is my original design. 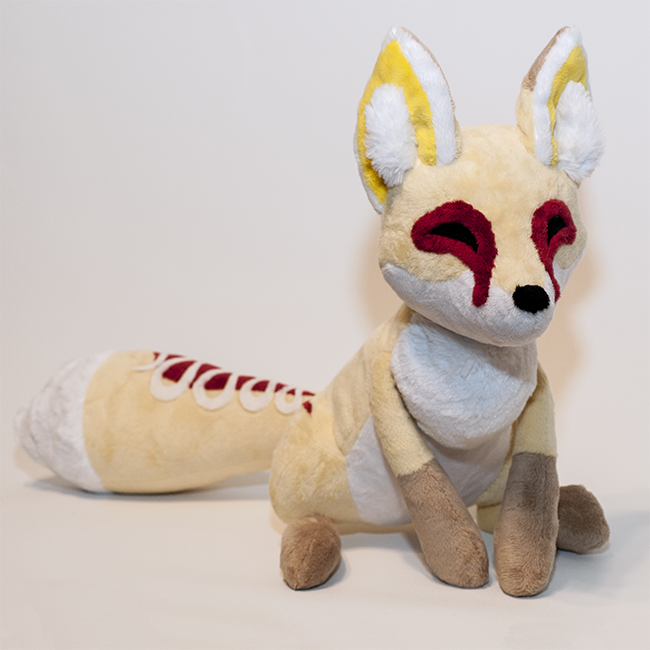 This fox is made from very soft minky fabric, with extra long minky inside of his ears, and his face details sewn carefully by hand. 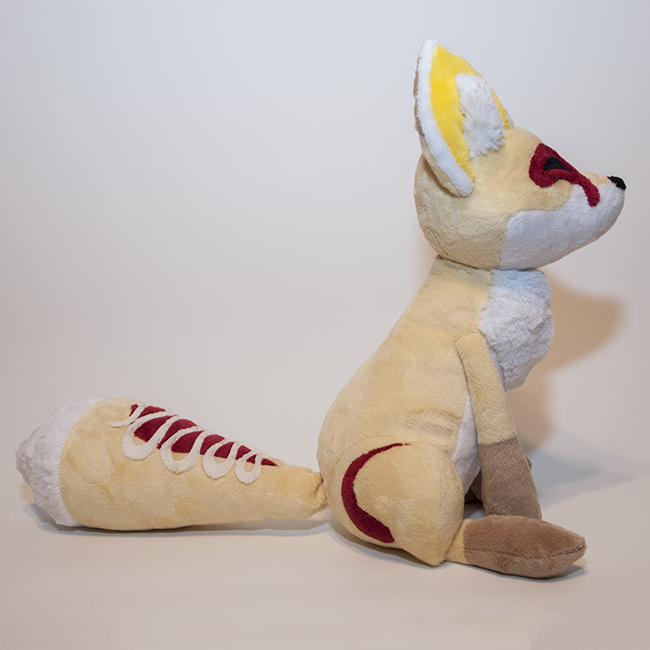 He is filled with high quality batting and plastic pellets, so he is floppy and optimal for cuddling! Don't need anything, but care to donate to my artistic endeavors?